Are there in your place some big houses with tall walls and fancy gates? Don’t you just adore how important all those homes look and how great and mighty these gates they have on look as well? Another thing you might have noticed on some of these great looking quite often ornamental iron gates are security cameras. There is something curious and strange about these little gadgets that steel our privacy but at the same time cover our backs. Well if you thought that only big Celebes were entitled to these kind of security privileges then think twice since today these safety privileges are easily accessible to everybody and in fact are much more common than people might think. Great mansions with great walls and enormous properties behind the same walls are unfortunately equally challenging to achieve, but not impossible in any case! Regardless of the sizes of your home and the extension of your property the new gate and the cam security system usually are chosen based on the personal needs and not based on your home dimensions. 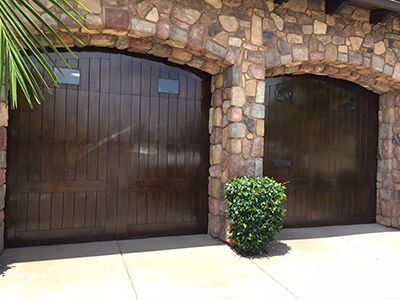 If you are getting a new gate or you are just looking to improve the old ones then you may consider about installing the cam security system on the same door. Today gates come with various different options and are especially sensitive to all security features so if you feel like your life quality would benefit from this option go ahead and get one. 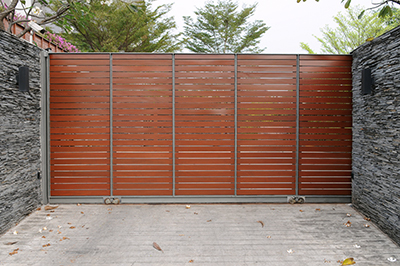 The best way to proceed about this matter would be with the help of specialized gate company and gate contractors that will know how to advise you about all the segments this decision might involve.